A gourmet tour for you to discover a fantastic medieval village animated by a small pasta factory and famous for a stunning century old castle where the typical Italian way of life is visible. The tour ends at a fantastic winery where you taste great wines and taste a lot of local specialties. An original full-day program with a guided visit to a unique winery and sampling of rare wines during a Tuscan lunch followed by an interesting guided walk through the stunning town of San Miniato, in central Tuscany. Two wonderful local specialties growing one next to the other: a day tour dedicated to truffles with a local truffle hunter and a truffle-based lunch and to extra virgin olive oil with a guided visit to a local oil press and a miniseminar on oils. A fascinating wine tour for people who want to learn differences about contemporary wineries and historical wine estates that established centuries ago. Our expert local wine guide will show you two very different wineries, both with great local wines. The best day for truffle lovers: meet a local truffle hunter and walk in the woods with a skilled dog, find some seasonal truffle and prepare your lunch based on the truffles just found in a short cooking class. A memorable experience available in Tuscany during the olive picking season: join us for a hands-on tour in which you experience picking olives with local farmers and then see the whole pressing process at a local oil mill. The most complete tour to understand the spirt of Volterra and its agricultural vocation. Visit an organic cheese farm and taste delicious ricotta and pecorino and walk in the medieval town of Volterra to discover its unique Etruscan and Roman roots. A slowly paced full-day tour in the area of Volterra with historical focus on the Etruscan town and an in-depth inspection into the world of extra virgin olive oil followed by a delicious lunch with many products of a local oil mill. Even if not famous as other main wine districts nearby, San Miniato and Vinci are very important not only for their historical meaning but also for their unique, original and surprising wine production: this the focus of this original wine tour! 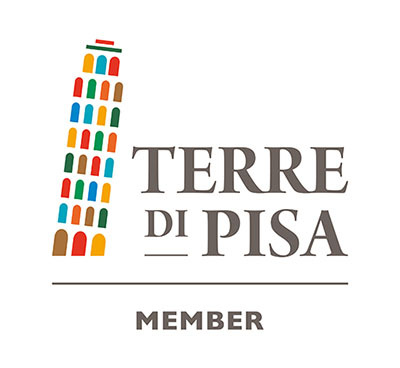 The most interesting and extended tour into the wine district of Terre di Pisa, with a guided visit to two stunning panoramic wineries and guided sampling of many different Tuscan wines and the unique chance to talk to the winemakers in person. A beautiful and adventurous guided walk in the natural reserve of the association of truffle hunters of Volterra with an experienced hunter and his talented dog. A delicious lunch with truffle products and the fresh truffles just found completes the frame.